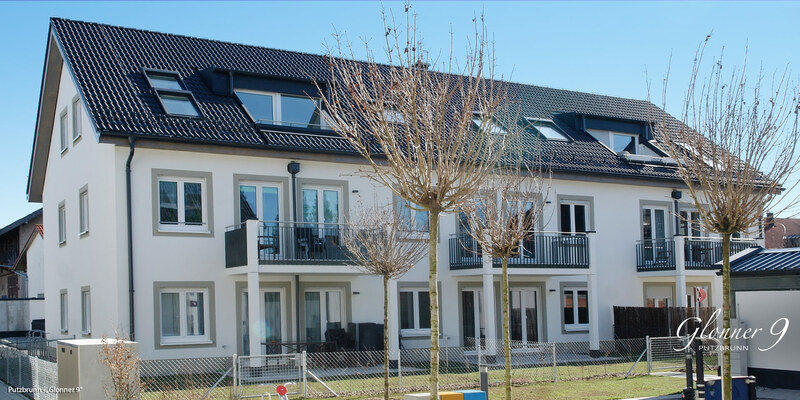 DEMOS has built the "Glonner 9" residential complex with seven townhouses and 20 condominiums in the community of Putzbrunn, just east of Munich. The project was completed early this year, and all units at "Glonner 9" have been sold. With its adjacent meadows and fields, the project's idyllic location near nature is a particular highlight. The Alpine foothills are just a hop, skip and a jump away from Putzbrunn, and the good transport links make getting to downtown Munich by car or public transportation quick and easy. We would like to thank all of the buyers for their trust as well as everyone who helped turn this project into a reality.